Mobile application development in Solan – Is considered to be a highly challenging by many organizations, due to its multiple platforms and vast technologies. RoyalLogics Services Pvt. Ltd development working in the latest Mobile technology and the recent scenario of smartphone users clearly show that demand for mobile apps is increasing rapidly. Rather Is a leading mobile application development company offering mobile application development services for Android, iPhone, iPad, and Windows mobile application development. Most Noteworthy, The team of mobile app developers is very creative and knowledgeable to deal with your individual demands as well as your business needs. Also, Work with advanced tools and technology. 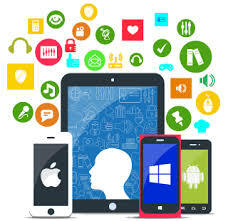 Hence mobile apps developers are able to create highly customized mobile applications for client needs and enterprises. Professional iOS application developers are well equipped in iOS technological advancements. A team of developers stays updated with the latest technology and new version devices of iOS. Corporate solutions: First of all, Present the best class of mobile apps development services for corporate software systems. Another, The mobile application is becoming more and more crucial for organizations to stay ahead of their competitors. So Solutions are finely tuned with your corporate systems. So worked in some popular areas of mobile applications like activities management, order processing, critical business processes etc. Mobile Applications for websites: Also offer custom mobile apps development services for organizations having websites and made it available to mobile users. Furthermore, the way the user is always connected with the web information and commit actions through their mobile. Another specializes in developing applications for e-commerce websites, social networking websites and informational websites along with other business websites.